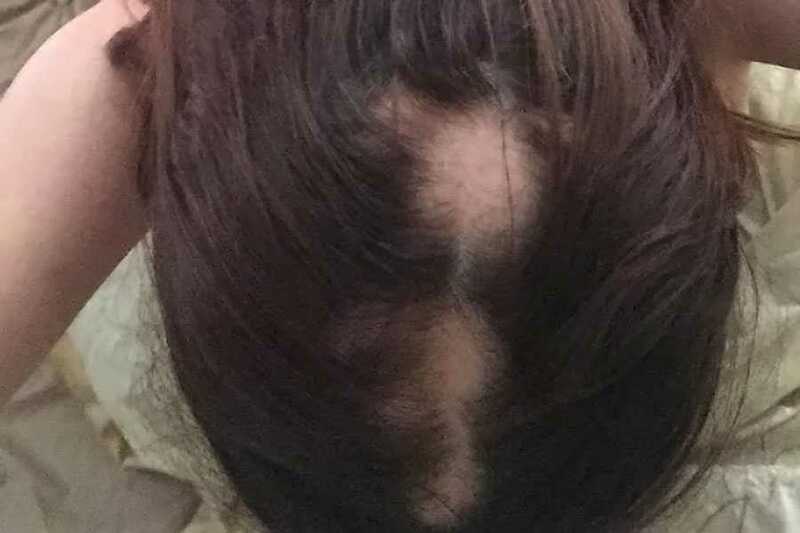 This is a series of posts about my experience with (and, hopefully, recovery from) alopecia. I am writing them anonymously as I have discovered that it is surprisingly taboo and emotional to ‘come out’ publicly as a balding woman. Indeed, this aspect is one aspect of the experience that I certainly wasn’t expecting—the stares on the tube when my scarf has slipped; the upset of my partner when I come out of the shower. This will be the topic of future posts. For now, allow me to introduce myself and my story. I am a healthy 36 year old female with no other health issues. In February 2016 I noticed when touching my scalp one spot that felt oddly prickly. Like when you have shaved your legs a week ago and the hair is growing back in. No manner of craning my neck or using two mirrors gave me a good view for myself, so I asked my flatmate to look. He said it looked fine and not to worry. However it then dawned on me that the last few times when I showered that more than usual hair had littered the tub. I have always had thick, long wavy brown hair, so didn’t think too much of the excess on my brush or in the bathroom drain, but now it niggled. Finally, I switched on the video of my phone and took several videos of my scalp. There was absolutely no doubt in my mind: I had significant thinning in several patches. My mind raced, as did my fingers as I googled possible causes. Although I still to this day can’t be sure, and which I will explore further in future posts, I believe it was a combination of things that led to my body to develop alopecia, an autoimmune condition in which my body is attacking and destroying my own hair cells. I had a significant personal loss in September 2015 and hormonal changes in January 2016 after using a coil which could both of had an impact on my hair loss. I immediately ceased use of the synthetic hormone, and dutifully followed advice from online blogs reducing the amount that I shampooed my hair and making sure to drink extra water. But over the next 6 months, my hair continued to fall out in clumps and patches, before finally trailing off and slowing down around September 2016. During this time I went through denial, acceptance and eventual determination to do what I could to counteract this loss. Without letting the condition define me, I also didn’t want to let it defeat me. After trying one trichologist, and finding them unhelpful, I began seeing Paru at the Wimpole Clinic. My treatment currently looks hopeful but no one can know for sure what the future holds. In future posts I will discuss my progress as well as learning about the condition and coping with it and learning to live with female alopecia.